I always wanted my own research library. As a child I lived in a relatively rural area of upstate New York. Every time my teachers would assign a report or essay that required research and told us we needed to go the public library and use the research materials there, it required a good deal of planning. My mother did not drive, the closest library was several miles away, there was no public transportation where we lived and my father did not always feel like making a trip to the library after dinner. This sometimes made completing my classroom assignments difficult. Because of the difficulty in getting to a library as a child, I wanted to have my own research books at my fingertips whenever I wanted to look something up. I set out to collect as many books as I could. I enjoyed the process. Of course, this collecting started in the days before Kindles, Nooks and i-Pads. By the time e-books made it into my life I had collected at least 1000 books. Then I had to move! I did not have enough room for the bookcases and their shelves of carefully selected tomes. How do you part with a research library? Slowly and painfully! For a start all the books I bought for college classes 20 years ago went out. The next choice was any book that was a coffee table book went. They are mostly photos and, while beautiful to look at, not always very enlightening. Then came then books that had “aged out” and I knew the information they held was now outdated and often refuted by newer research. Then there were the books I bought when I was fascinated by a topic that no longer was of interest to me. The really hard ones were books I purchased on trips; they were useful (so I thought) souvenirs. If I get rid of my book of “Tales of Block Island” or “Sled Dogs of Alaska” would I regret it? Would I forget my adventures without books to take me back there? I wasn’t certain I could part with those. Wrestling with my library brought me back to experiences I had in libraries during my adult years. 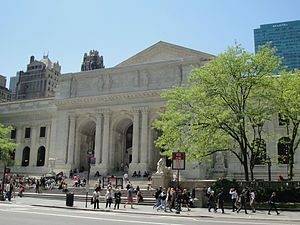 Being a library aficionado I was very interested in seeing the New York Public Library, by that I mean the Stephan A. Schwartzman branch on the corner of 42nd St. and Fifth Avenue. On my first trip to New York City I could not get in the building because of a special, ticketed event. I had never known a library to be closed during regular hours for a “ticketed event.” The next chance I had was when I took my niece to NYC for her first trip. I thought I would show her the Schwartzman building….It was closed again for a special ticketed event. By now I was convinced the building was never open. The third time I went about 4 years ago I found it open, accessible and as wonderful as I had imagined. I guess three times is really the charm. Beginning with the famous lions, called Patience and Fortitude, who guard the doors, to the marvelous Gutenberg Bible I was astounded by the expansive rooms, the beauty of the décor and the seemingly endless collection of books. The Schwartzman library is an imposing building initially designed by Dr. John Shaw Billings and then finalized and brought to completion by New York’s most prominent architecture firm, Carrère and Hastings. The corner stone was laid in 1902 and the shelving for the books put up in 1910. The Geneva Historical Society has a research library, too. 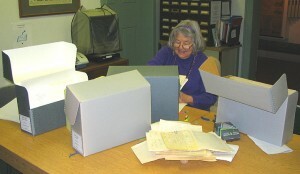 It is non-circulating, but members and visitors may come during archive hours to use our materials for research. What do we have in the library? Some really old dictionaries so you can look up what a word used to mean in the 1800s; books on military units and personnel from the State of New York during the Civil War; information on the Sullivan-Clinton Campaign; indexes to all three Geneva cemeteries; information and biographical information on the city and its residents, and a good deal more. We have a history of Ontario County and two or three histories for Geneva. We have maps and various posters, cookbooks and building surveys, to name just a few of our books and materials. 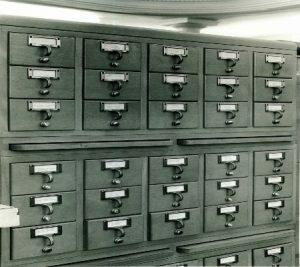 Some of our resources have been digitized and are available on line including newspapers, city directories and some of our photo collection. Every day it becomes easier to do research in person or on-line and my reason for having my own research library becomes just a memory. This is not a bad thing since purchasing and housing a research library takes up space and costs quite a bit. The new information age can be very satisfying. Very interesting and fun to read and I admire your years of effort accumulating materials. What goes up must come down so it must have been hard dispensing with some prized books and resources. Please do some research on the Irish in Geneva and share it with all of us who subscribe. Thank you for the suggestion. We will keep in mind a post specifically about the Irish in Geneva. There is so much to say it probably can’t be confined to one post! You will find a bit about the Irish workers at Rose Hill in the posts Domestic Service at Rose Hill and Workers at Rose Hill Farm.